The Oaxis InkCase i7 plus is an e-reader case for iPhone 7+ smartphones. 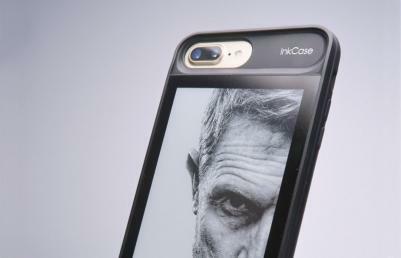 The case features a 5.2" 540x960 (213 PPI) E Ink display, 9H scratch resistance and anti-glare coating. Oaxis launched a crowdfunding campaign for the new case, which already achieved its goal. The case will cost $159 and will ship in July or August 2017. Sony started shipping its FES Watch U in Japan - with prices randing from 46,000 Yen (around $415) to 60,000 yen (around $550). 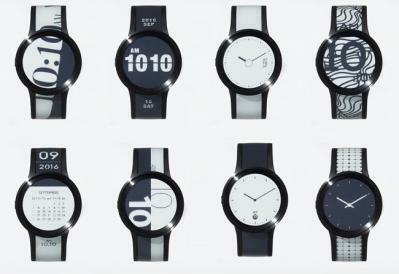 The FES Watch U is an E Ink watch that also has E Ink on the wrist-band, so you can change the design at will. There are 12 basic designs, but this is software based and will increase as Sony makes available an iOS companion application. The FES Watch U was first launched in October 2016 via Sony's First Flight crowdfunding site.